China, intent on dominating artificial intelligence in a race with the United States, is said to be on a steep ascent toward at least a tie. But a number of AI experts say that while China can come close, it will be hard to catch up completely. Why it matters: Leading tech and geopolitical strategists believe that AI is the ultimate technology — whoever invents a super-intelligent machine first will gain undisputed leverage over everyone else. Last year, Russia's Vladimir Putin said the AI winner will be the "ruler of the world." 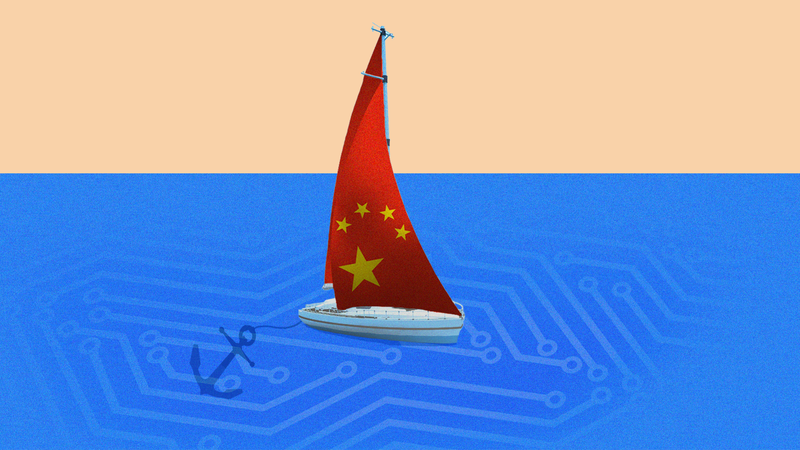 Why China won't catch up: The U.S.-Canadian side moves on a dime. In fact, over the last few months, they decided they were misdirected toward getting to super-intelligence, and more or less started over. When a field is run like that, unless you are also prepared to start over (which the Chinese do not seem to be), you by definition are following, not leading. The background: Last July, China publicly set a goal of matching the U.S. in AI by 2020, and leading the field by 2030. Kai-Fu Lee, CEO of Sinovation Ventures and president of the Artificial Intelligence Institute, is one of the main voices asserting that China is already matching the U.S. in AI. A data point supporting Lee came in January, when Tencent's Fine Art program defeated Ke Jie, China's Go champion, who had been given a two-stone head start and still lost, writes Wired's Tom Simonite. That came after AlphaGo — created by Alphabet's DeepMind — beat South Korean Lee Se-dol, then the fifth-ranked Go player in the world, and then, in May 2017, Ke Jie — the first time he had lost to a machine. Two professors told the NYT that DeepMind's Go triumphs were Sputnik moments for China, which led to its declaration of a race with the U.S.
A lot of AI advances are published in the open, allowing Chinese researchers to follow along with everyone else, notes Yifei Huang, a machine learning engineer at Outreach.io. "America is at a disadvantage because we are No. 1, because of complacency that goes with that," says Chris Nicholson, CEO of Skymind, in which Tencent is an investor. "The U.S. is still No. 1 in research but China is catching up quick. They believe it's their race to win. And I think it's our race to lose." AI is so fluid that no one knows what will move the field forward toward super-intelligence. China would never start over, as U.S. and Canadian researchers have: "In China, that would be unthinkable," said Manny Medina, CEO at Outreach.io in Seattle. AI stars like Facebook's Yann LeCun and the Vector Institute's Geoff Hinton in Toronto, he said, "don't have to ask permission. They can start research and move the ball forward." As if to underscore this point, after its algorithm beat Ke Jie, Tencent conceded that Fine Art was inspired by DeepMind's description of AlphaGo Zero.